Your debt to income ratio is a crucial figure, especially when you apply for a mortgage, home equity loan, or another large personal loan. By understanding what it is and what your target number should be, you can use your debt to income ratio to help get qualified for some of the best loans available. Read on to find out how your debt to income ratio could affect your next loan application. Debt to income ratio compares all of your monthly recurring debt to your monthly income to determine how easily you could potentially handle new, additional payments. It’s a way for lenders to evaluate your level of risk as a borrower before approving your loan application. From their perspective, if you already have a lot of debt compared to the amount of money you bring in, it may be harder for you to repay another loan. That means the risk of loan default is higher the more debt you have. On the other hand, if your debt to income ratio is low, it indicates that you’re more likely to have available income to put towards another loan. So the better your DTI ratio, the better chance you have of getting your loan application approved. 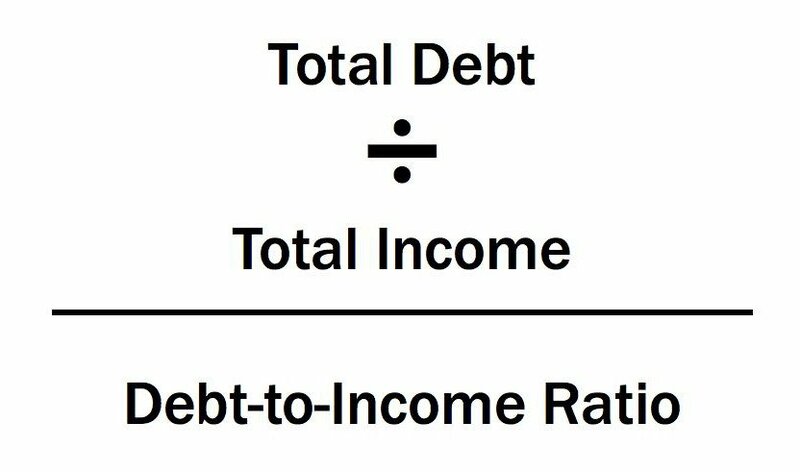 How do you calculate your debt to income ratio? So how can you calculate your debt to income ratio? It’s an easy formula. Start by listing out all of your monthly debt payments. This doesn’t include bills for services like your utilities or cell phone, but it does include your monthly credit card minimum payment, student loan, and car loan. Divide that by your gross monthly income (that’s the money you earn before taxes are taken out) and you get your current debt to income ratio. Here’s a quick example. Say you have a $150 monthly car payment, $100 student loan payment, $1,200 mortgage, and $75 in credit card minimum payments. Your monthly debt obligations total $1,525. If your pre-tax income is $4,000 a month then you divide the two numbers to get 0.38, or 38%. When applying for a major loan like a mortgage, you also need to add in the expected monthly payment for your new loan or mortgage. That’s the percentage your lender looks at to determine whether or not your DTI meets their qualifications. Let’s go back to the example above. Your current mortgage is $1,200 but you want to move into a larger home that would bring your monthly mortgage payment to $1,500. That increases your monthly debt obligations to $1,825 and your debt to income ratio to 45%. Where do lenders find your financial information for your debt to income ratio? A lender typically uses two sources for your financial information: your credit report and required documentation that comes from you. Your credit report supplies all of your credit card and loan balances so lenders know exactly how much you owe. The downside is that credit reports can take a month or more to update new information. So if you made a large payment on one of your credit cards a week before applying for your mortgage, that new balance might not be reflected on the credit report pulled by your lender. Luckily, you can request a rapid rescore, which updates your credit report within just a few business days. Your lender pays for the cost of the rescore and you benefit from having a low and accurate debt balance for your DTI ratio. Your lender will also ask you to verify your monthly income with documentation such as pay stubs and bank statements. You’ll also need to submit at least two years of W-2s and/or tax returns. Some lenders also ask for an employment verification letter. This helps them determine exactly how much money you bring in each month that can be applied to your loan balances. Does your debt to income ratio affect your credit score? Your debt to income ratio doesn’t directly affect your credit score because your credit report doesn’t contain any information on your earnings. But just like your credit score, your DTI contributes to whether or not your loan application will be approved, so it’s an equally important number. Plus, the balance information that goes into your debt to income ratio also contributes to the “amounts owed” category of your credit score, contributing a full 30%. So even though the calculation specific to debt to income ratio isn’t included in your credit score, addressing any issues you may have with debt will help both situations. When you manage your money wisely, you’ll reap the benefits in many areas of your finances. 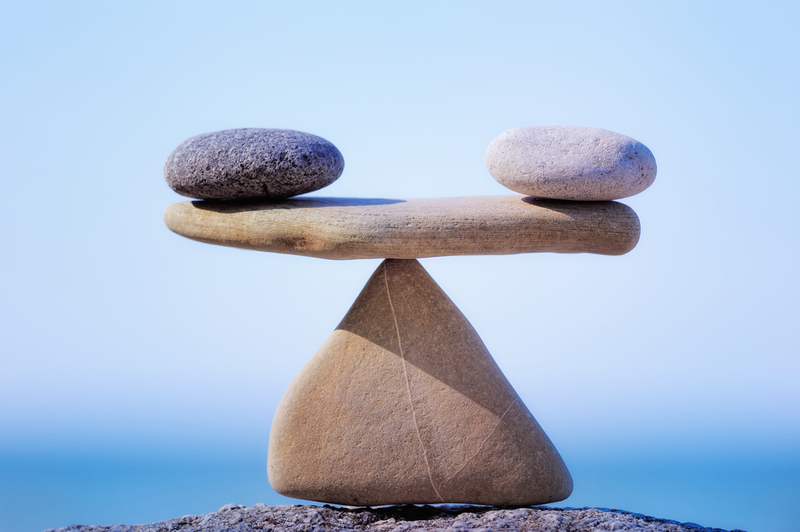 What is an ideal debt to income ratio? The answer to this question really depends on your lender, but obviously the lower your DTI ratio, the better. A lot of experts and conventional lenders use 36% as a target for individuals trying to determine how much debt is wise to carry. But of course each situation is personal and depending on your other financial obligations, a higher or lower number may be appropriate. It’s helpful to perform a simple financial audit of your personal budget to determine how much you can spend on a mortgage on top of your other payments, bills, and savings contributions. Even if a lender says that you qualify for a certain mortgage amount, that doesn’t necessarily mean you can afford it. Plus, you also need to consider not just your monthly principal and interest payment, but also your taxes, mortgage insurance, and homeowners insurance. All of that can easily add a couple hundred dollars or more to your monthly payment. Make sure you work with a lender whom you can trust and who has your best financial interests at heart. When you do apply for a loan, most lenders today typically use 43% as a cutoff. Anything higher and you automatically can’t get a qualified mortgage. You can figure out how much of your income is 43% by performing a simple equation. Take your monthly pre-tax income figure and multiply it by 0.43. The number you get is the maximum amount of debt obligations you may have in order to qualify for a mortgage. If you want to be more conservative, multiply your monthly earnings by 0.36. This is especially true if you’re in a higher tax bracket because you’ll lose more of your money to taxes before paying your bills. Let’s take a look at these calculations with a real-life example. We’ll use the same scenario as before: your monthly income is $4,000 before taxes are taken out. For a 36% debt to income ratio, your total loan and credit card obligations should total no more than $1,440 each month. To qualify for a mortgage with a maximum 43% DTI and the same monthly income, your mortgage and other debt obligations shouldn’t exceed $1,720 each month. Try the math using your own financial information and see where you fall. How can you lower your debt to income ratio? Since the formula for your debt to income ratio uses two different numbers, there are a couple different ways to lower your ratio. The first is to lower the amount of debt that you owe. You can do this by paying off your credit card or loan balances ahead of schedule. Even if you’re having trouble paying beyond your minimums, look at refinancing options to lower your monthly payments with a lower interest rate. You might also have luck getting a 0% APR balance transfer credit card, but you want to make sure that you can either pay everything off before the introductory period ends or secure a lower interest rate than your current cards. When trying to buy a home, you can also look at properties in a lower price range because that will lower your monthly mortgage payment. Ask your lender to provide you with a few different financing scenarios based on different prices and loan types. You could also pay a larger down payment to stay in the price range you want while lowering the loan amount. On the flip side, you can also try to increase your income to help out your debt to income ratio. Mortgage lenders typically want to see two years of tax returns to gauge your income level. A last-minute raise or second job may not reflect your income amount right away. It really depends on what type of documentation and salary history is required by your lender. You might also be able to bolster your application by having a large amount of cash reserves on hand. So if you’re about to buy a large item (besides your house) it could help to hold off on spending the money until after you close on the loan. Debt to income ratio is a simple tool used by lenders when evaluating loan applicants. Now that you understand the ins and outs of DTI ratio and its effect on your ability to get a mortgage, you can make more informed decisions on borrowing and spending.